Whether you have a network of contractors or hire staff, you could benefit from working in a single place: FreshBooks. You already use FreshBooks to track time, organize expenses and grow your business. 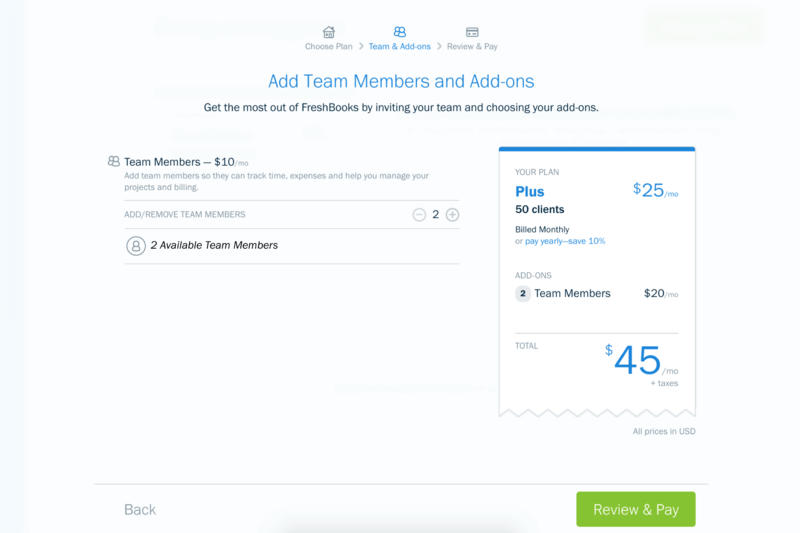 But did you know you can use FreshBooks to make teamwork easy too? With feedback from small business owners, we’ve built features designed to boost productivity and make collaboration simple. Once you’ve added your team, you’ll be amazed at how easy projects become and how in control you feel. Let’s take a closer look. 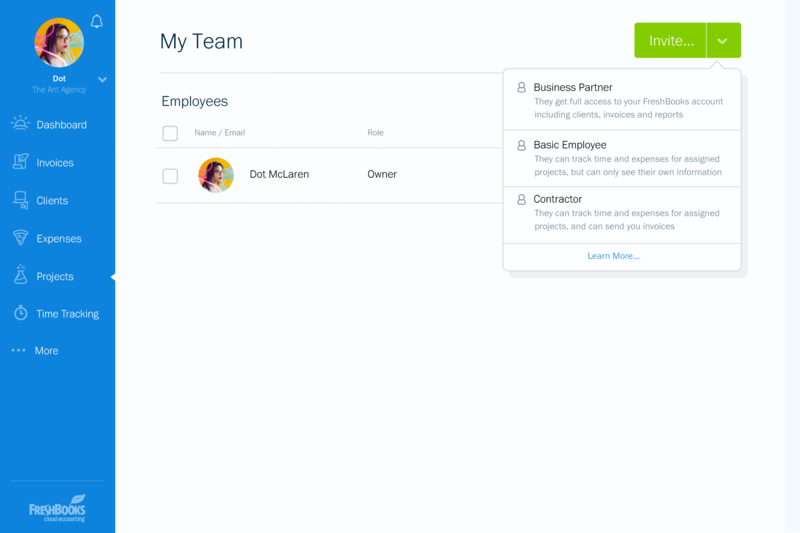 Why Add Your Team to FreshBooks? There are those dream projects that go off without a hitch – every deadline is met, you’re under budget and the client is thrilled. But in reality, life has a way of bumping you off the guardrails – even if you’re organized. That’s why we’ve built tools right in to FreshBooks that make it super easy to collaborate and manage your team. 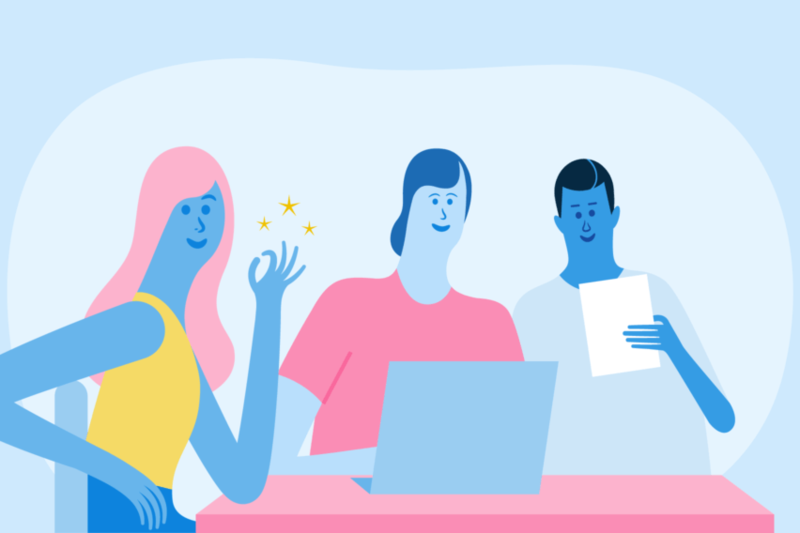 So instead of wasting time flipping between apps, searching for files or stressing over projects, add your team to FreshBooks and everyone will stay on the same page. 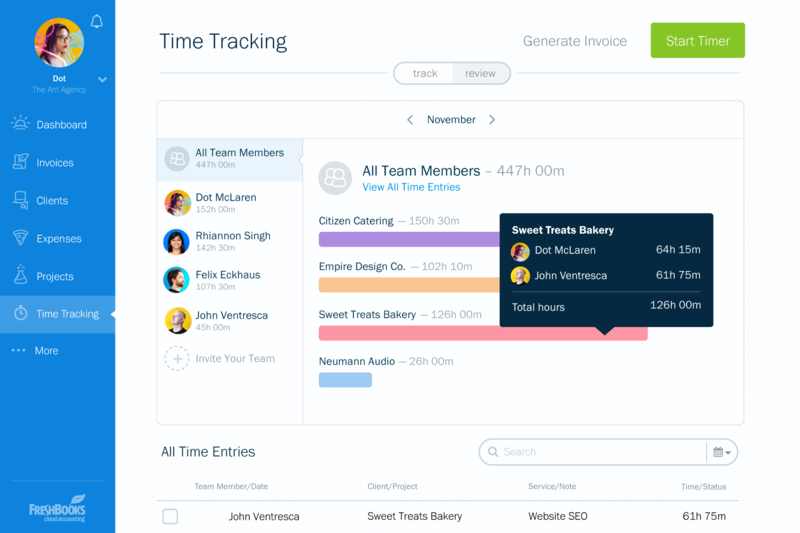 Once you add your team to FreshBooks, everyone can easily track time, collaborate on projects and even log expenses. You’ll still be in the driver’s seat, but now your team can come along for the ride. 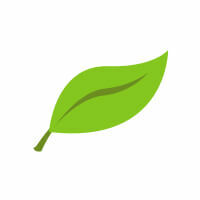 It will help your day-to-day operations and make filing your taxes painless. 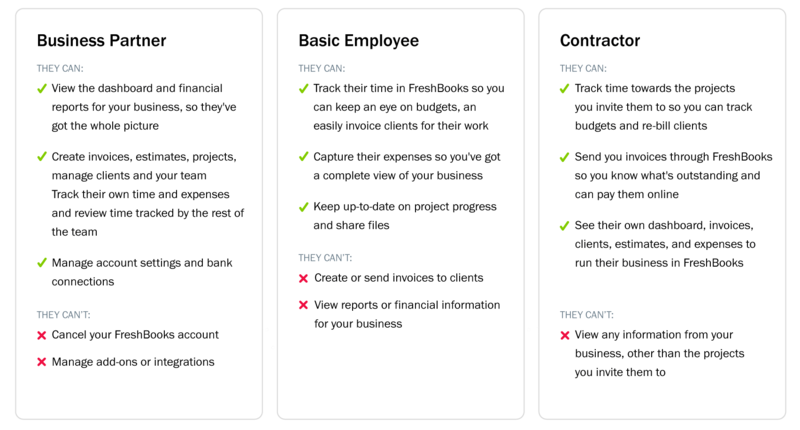 When everyone’s working from FreshBooks, you’ll be able to get a clear idea of how projects are tracking and how your team spends their day. Since you’re spending less time on project management, you can focus on more important things like growing your business. Bonus Tip: The more your team uses FreshBooks, the better you’ll become at planning future work and time management. What Can My Team do in FreshBooks? Let’s take a closer look at how your team can use the features you already know and love. When your team tracks their time in FreshBooks, you can review their time sheets to make sure projects are a success and every billable hour is captured. Scrambling with receipts at month end is so time consuming. 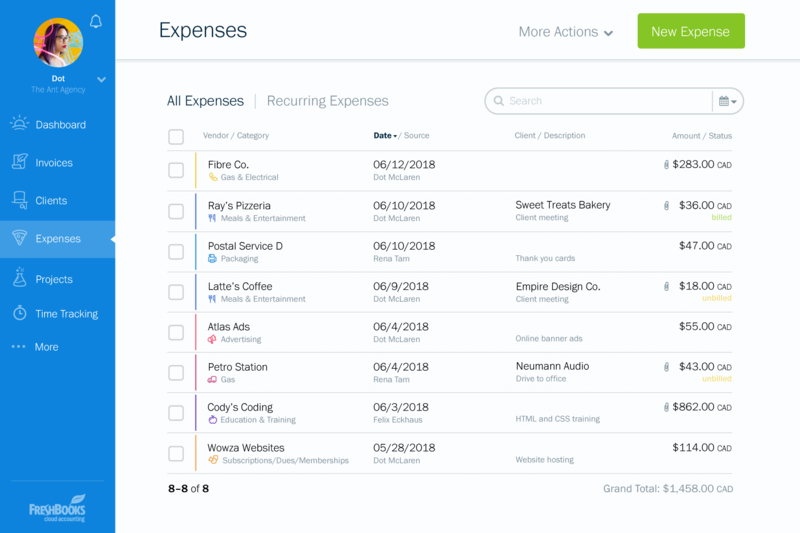 And when you have a team it’s even harder – just think of all those receipts… But with FreshBooks, people can log expenses on the go with ease and you’ll have every item captured in a single place. From kick-off to billing, FreshBooks has tools to make collaboration simple. 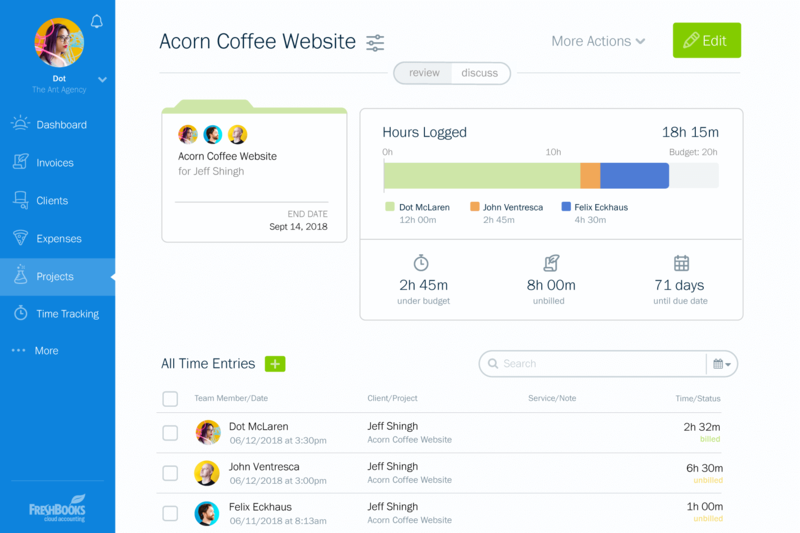 You’ll be able to share files, ideas and stay on top of deadlines without the need for other apps or email chains. What are the Different Team Roles? Step 2: Add as many Team Members you like from here. 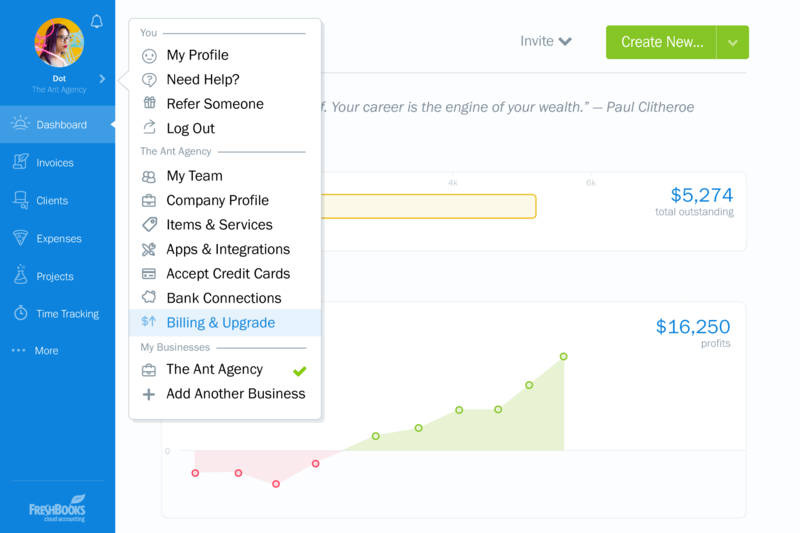 Step 3: Once you’ve added your team, head back to your Dashboard and send an invite. A pre-filled email will appear, feel free to edit or send. Ready to add your team? Get started here. P.S. Need a hand? Shoot our Support Team an email or give them a call at 1-866-303-6061.